When asked what is important about your wedding reception? 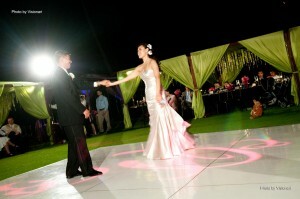 80 percent of the brides that i speak with will say they want their wedding reception to be “Fun”. On of the biggest parts of the having a fun wedding reception will be to find an amazing DJ. But besides going big on your Wedding DJ, how else can you make your reception fun? 11 Way to Make your wedding reception Fun – Colin Cowie Weddings. I am NOT that biggest fan of Martha Stewart or her wedding site as i find her site to be way to advertisement heavy. But this article about floorplans is on point. I have pushed several these wedding floor plan tips for years. Sound simple but yet many weddings venues & coordinators often don’t get this. Trust me on this one, small changes in the floor plan does make a difference! Don’t want your guest Yawning at your wedding reception? Here 1o quick and easy tips from The Knots Sean Cunningham. My Favorite here is #10 Relax…Seriously. What is the biggest Wedding Etiquette Don’t? Did i say I love Colin Cowie? Not only does he produce the most amazing over the top looking events but he also knows how to make them flow. This is short and simple but sadly so many wedding get this wrong. Need more information on how these tips can relate to your wedding reception visions and venue location? Give me a call I would be happy to share my personal experiences and insight with you.